What influences what we become? Who do we travel with? How are we affected by what we see and experience? It is insightful for me, having arrived at my 60th decade, to have plenty of history behind me to look back on. WE THREE started “retreating” south. 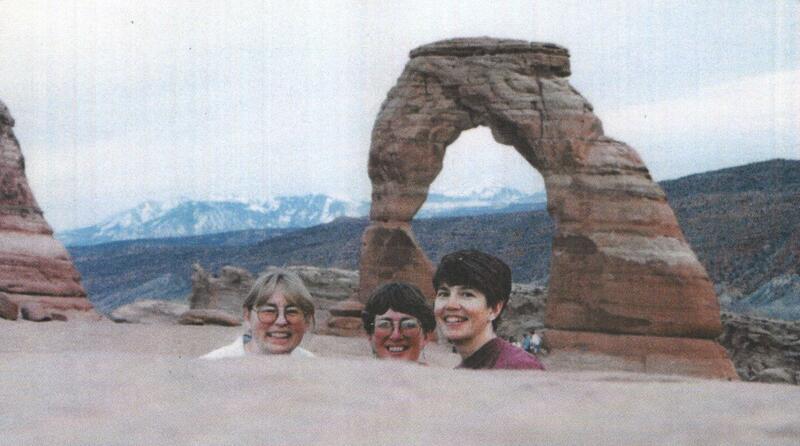 In March of 1996 we drove to Moab, Utah. Thoughts of painting outdoors evaporated, however, at our first painting stop. It was really cold, foggy, windy…and then began to snow. Silly us, we thought going south in March would give us a jump on the painting season. I ended up painting a still life by lamp light in our hotel that night. Not to be daunted, we tried it again the very next year in the same month, March. It was 1997 and this time the weather behaved. What is an “art retreat” without some exploring? We saw the sign for Delicate Arch and took a hike. Wondered why the crowd dispersed early around us and then realized that we had stayed too long at the arch and would have to hike back…in the dark. We are not seasoned mountaineers and I don’t remember if we even had a flashlight with us, but this walk back became one of my cherished memories. The moon was full that night, the temperature perfect, and the comet Hale-Bopp could be easily seen with its distinct streaming “tail” with our natural eyes. Walking along in the moonlight conversing with friends…powerful poetry. 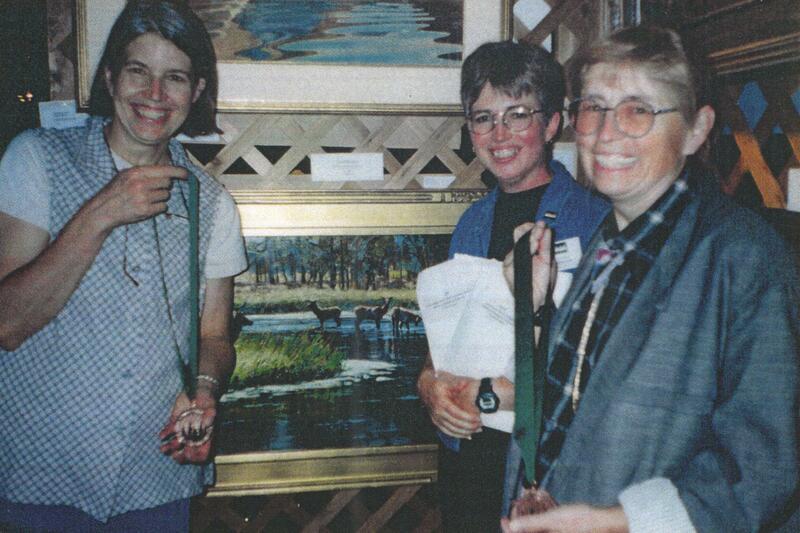 In 2002 Rox and I drove to Jackson Hole to witness Barb being honored with multiple awards at the Arts For The Parks competition that year. 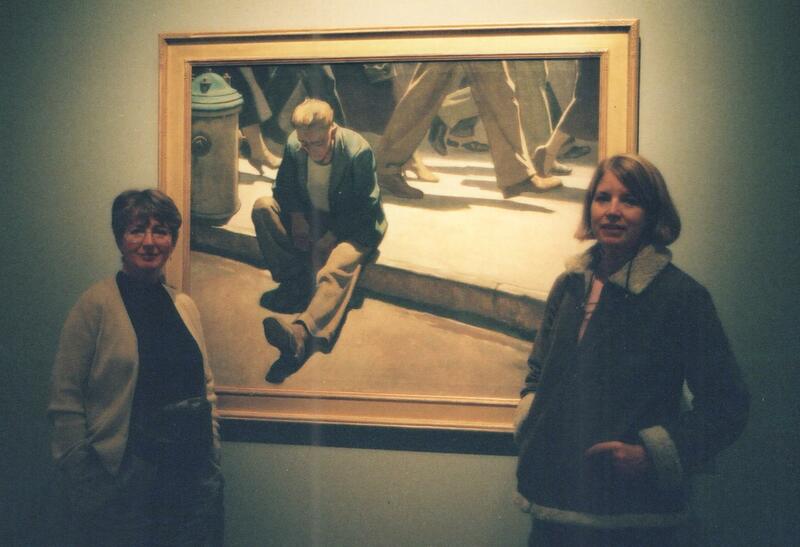 Barb was painting and getting in galleries, Rox was teaching math and statistics at a university while taking art workshops, and I was making a living as a magazine and children’s book illustrator. Divergent roads. 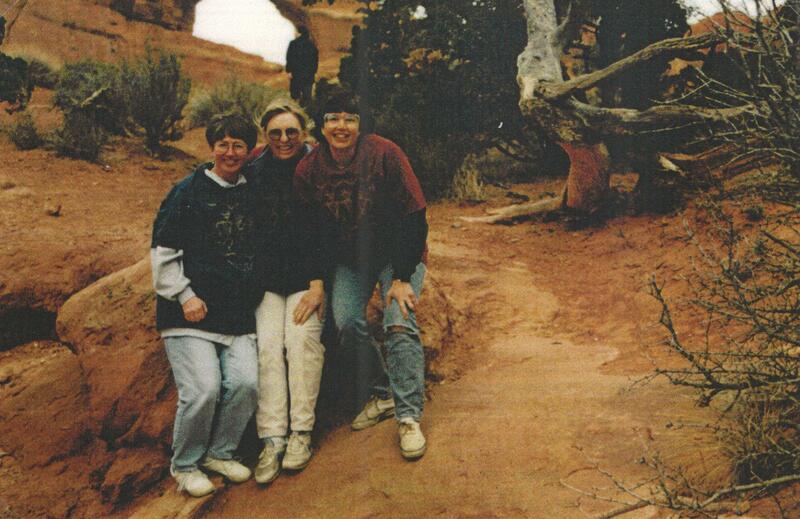 In 2005 WE THREE traveled south again. Thinking we were being adventurous, we stayed a night in Mesquite, Nevada. After scoping out the casinos for something to paint…they don’t even have chairs you can sit in to sketch the patrons from, we turned in for the night. Our room was on the ground floor and we didn’t sleep, what with the all night drunken shouting and swearing and flashing police lights through our window! 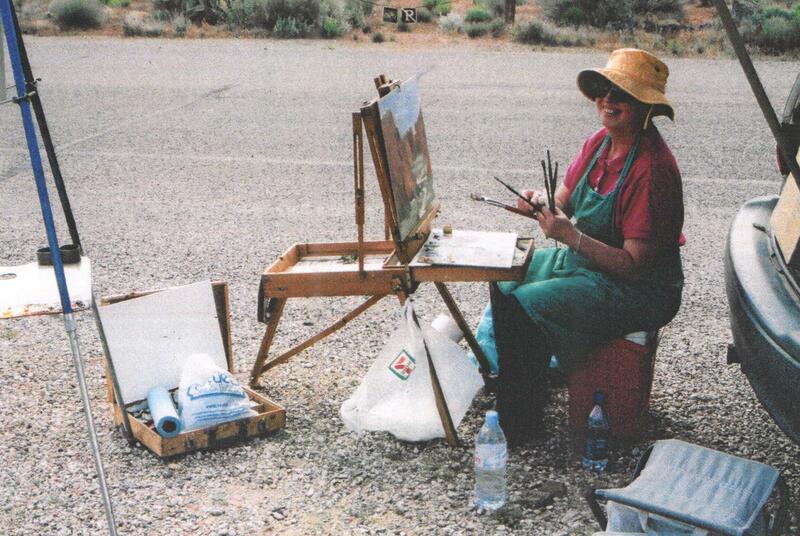 The next day we packed up and fled to St. George, a much calmer place conducive to painting. We set up in Snow Canyon and I began to really see the beauty of the desert cactus.